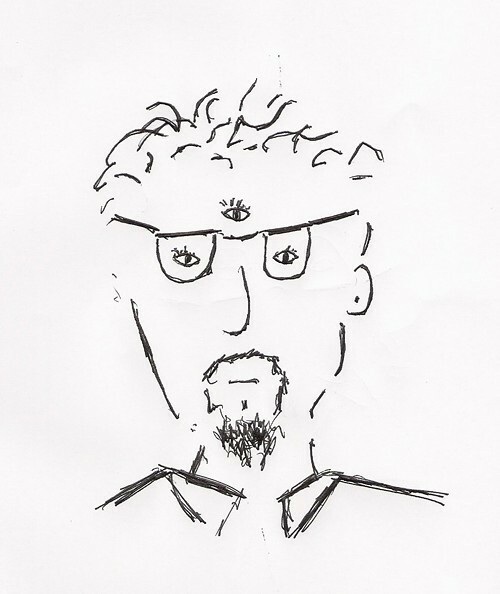 "We go way back," author Corey Mesler (pictured, in a self-portrait) says of author Richard Brautigan. "He's one of those authors you come to when you're young, like the Beats. I read him in high school for the first time, and he was a way into books for me. And for all their quirkiness and oddball narratives, Brautigan's stories are a joy to read. I'm not sure where I got the idea of writing a book about him. It was just sort of a whim."